The staff at Strafford Veterinary Clinic are committed to providing the finest service to the pets entrusted to our care. This commitment includes educating our clients on not only what we do, but why. One of the vital services we offer is quality dental care for your pets. Identifying and treating oral disorders in cats and dogs is a vital part of optimum care that we provide for your pets. Did you know that 80% of dogs and 70% of cats, not provided with good dental care, show signs of irreversible oral disease by age 3? Unfortunately, the field of pet dentistry is not well known, nor yet understood by most pet owners. So, let us help you understand the why’s, what’s and how’s of our dental practices. 1) What are signs my dog or cat needs a dental? Symptoms range from tartar, plaque, halitosis (bad breath) to advanced periodontal disease (tooth decay, infected gums, and gum recession). If your dog/cat has trouble eating, reddened gums, fractured tooth or you can see tartar buildup on the teeth then getting him/her to the veterinarian for an exam would be in order. An exam by the doctor is the most effective way to establish when a dental would be needed and whether there is a visible infection in the mouth. However a thorough oral exam can only be done while the animal is under anesthesia. A quick exam of the mouth may allow the doctor to see plaque (biofilm of bacteria and glycoprotiens coating the teeth), tartar (dead bacteria calcified to the tooth),gingivitis, periodontal disease, fractured teeth and bleeding gums. A thorough exam consists of intraoral radiographs (which shows fractures, bone loss, tooth abnormalities and other atypical aberrations that can be located below the gum line), probing around teeth, assessing bone loss and gum recession. This will allow the doctor to formulate what steps will be necessary to protect the pet’s health and well being. 2) What exactly is dental disease and how does it affect my dog/cat? Periodontal disease is the most common disease found in dogs and cats. It is an inflammatory, infectious and progressive disease. The four most common categories for dental disease are tartar, gingivitis, pyorrhea and periodontitis. b) gingivitis- inflammation of the gums. The gums are red and inflamed. Factors that contribute to oral disease are age, diet, shape of teeth, occlusions, bacteria flora, immune status, general health, genetic predisposition, breed, chewing habits and (#1) lack of oral hygiene. Studies show that pets with periodontal disease have severe microscopic damage in their kidneys, heart muscle and liver. 3) What exactly happens during a dental procedure? e) Patient monitoring equipment attached and fluids started. j) Doctor or Technician will call with findings of any additional procedures, such as extractions or periodontal therapy, which may need to be done. 4) Why perform pre-anesthetic blood work? Our greatest concern while your pet is with us is his/her well being. A general physical exam can diagnose many conditions while other diseases can only be diagnosed with blood work analysis. Early detection of the disease can prevent progression of the disease and allow changes to the anesthetic protocol to minimize the risk of an anesthetic related complication. By running a complete pre-anesthesic lab panel we will know enough about your pet’s liver and kidney function to safely undergo anesthesia at this time. 5) How safe is anesthesia? Advent of newer gas anesthesitics, such as Isoflurane (which we use), have dramatically reduced the number of anesthetic complications. We monitor blood pressure, pulse, body temperature, oxygen saturation and breathing. Patients are maintained on fluids during the entire procedure. Patients are awake and standing/walking within 15-20 minutes after the discontinuation of anesthesia. 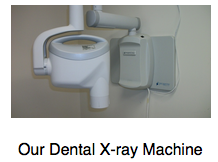 6) Why are dental x-rays needed? f) resorptive lesions) – roots need to be extracted? 7) What are the costs? Costs vary depending on the extent and procedures done. The standard cleaning package includes the physical exam, IV catheter, pre-anesthesia lab work, anesthesia used, intraoral radiographs, dental prophy (cleaning), polishing and a thorough oral exam. Any additional procedures and costs are discussed with clients before proceeding. 8) What if I am unable to afford a dental cleaning and/or extractions at this time? We understand the economy is still recovering and some procedures may not be in the budget at this time. We will do our best to give an accurate estimate (most dental estimates are only valid for a few months due to the advancement of periodontal disease). We will always take the time to answer your questions and concerns in this area. Medications, such as antibiotics, will not treat nor cure the problem without oral surgery. Many cases do benefit from pain medication until oral surgery can be performed. Our pets do experience pain and suffering just as we do from oral issues, they are just unable to tell us. Most pets will do their best to hide their pain while the dental disease worsens. 9) How do I prepare my dog/cat the night before a professional dental cleaning? Your pet may have access to water until you bring them in. Please take away any uneaten food by 10pm the night before the procedure. No treats or food the next morning. Pets should arrive here at the clinic between 7:00 am to 7:30 am. Please call if there is a conflict in the drop off times. Good dental care for your pets is under your control. Let us help you keep your pet as healthy as possible.